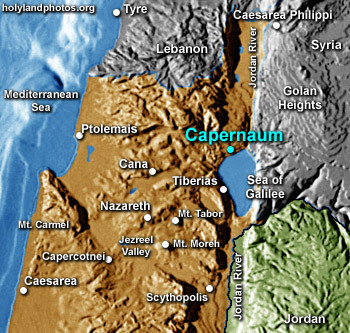 Capernaum is mentioned 16 times in the New Testament. It served as Jesus’ "headquarters" during his public ministry. Several disciples were from Capernaum and many miracles were performed here. It was a fishing village with a tollbooth and a synagogue. Indeed, it was large enough to be the residence of a public official and a Roman centurion. The Franciscans own the major portion of the site, but the Greek Orthodox have property to the east of them. You may also be interested in the nearby "Sower’s Cove" (Matthew 13).